Are you still unable to find the right Keller TX Kids Karate Near Me classes for your specific needs? Perhaps you’re trying to figure out what needs to happen with your karate and Taekwondo classes for your children and you don’t know what to do next. Finding karate classes is something that can be looked at as a trek through a ton of saturation, but there is one dojo that stands out from the rest. 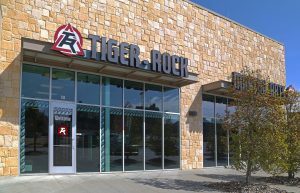 When you have the help of Tiger-Rock Martial Arts of Keller on your side, you’ll have access to the best in the nation. Reach out to our Texas teachers and certified instructors for more information on our classes, and keep reading for details. We’re ready to help you and your loved ones start your journey towards transformation using the benefits of martial arts. The earlier you start your kids in martial arts classes, the better. This is a key ingredient to putting your children through a successful childhood. You’re going to want to give them the acces they need to high level training at a young age. This instills a sense of discipline, motivation, confidence, and resilience from the start. If you start your child’s training in martial arts gym early on, you’ll definitely see the benefits as they mature into adults. Call Tiger-Rock when you’re ready to find a gym in your area. Are you beginning to worry about the health of your children? Perhaps your son still hasn’t found a sport he likes and you want him to be be able to exercise regularly. Maybe you also want to find something that’s relatively safe, but still rigid and regular. If you’re ready to put your kids in a great class that will give them cardiovascular health and increased energy, we can help. Tiger-Rock provides your children with great courses that are perfect for their ages and skill levels. Every parent wants to make sure they raise a healthy child. If you’re concerned about your child getting enough exercise, our martial arts programs are perfect for your family. We have vigorous striking and kicking drills that will give your offspring the necessary reps to build stamina, speed, and skill. Our instructors will make sure that your kids are being coached the right ways. Because of this, you’ll always be able to see your child progress and grow within our ranks. As long as they stay committed, consistent growth is something that will come over time. Personal progress is huge for a child’s life. Your offspring need to know that they’re striving towards a greater purpose and making moves towards a goal. If you’re trying to make sure your children are able to experience the feeling of accomplishment through hard work and perseverance, we can help. Our Tiger-Rock Martial Arts classes can provide you with the right resources and answers for your family. Do you have young children who are very energetic, but they don’t know where to put that energy? Perhaps you’re looking for someone who can provide you with assistance and give your child a healthy outlet. If this is what you’re looking for, the Tiger-Cubs program is perfect for your family. This allows children from ages 4-6 to be able to learn more about karate and exercise. These are age-appropriate classes that give the opportunities to mingle with other kids and learn something new. We have classes for children later in elementary school, too. We’ve even got some programs for teenagers. Do you have an adolescent who seems to be having a lot of problems in life? Perhaps you’re unable to figure out what’s going on and you’re trying to steer our teen in the right direction. As a parent, this can sometimes seem impossible and feel like a hopeless cause. While you might be upset and out of patience, there’s still hope for you and your family. Offering keller TX Kids Karate Near Me classes is something we take very seriously, and it’s not a responsibility we’re going to treat lightly. We want to make sure that children of all phases have access to high quality karate and Taekwondo lessons. Being a teenager is not easy, and it’s a part to life that’s going to require guidance and mentorship. If you’re trying to make sure you have the right resources and pass them onto your teen, TRMA is ready to help you. 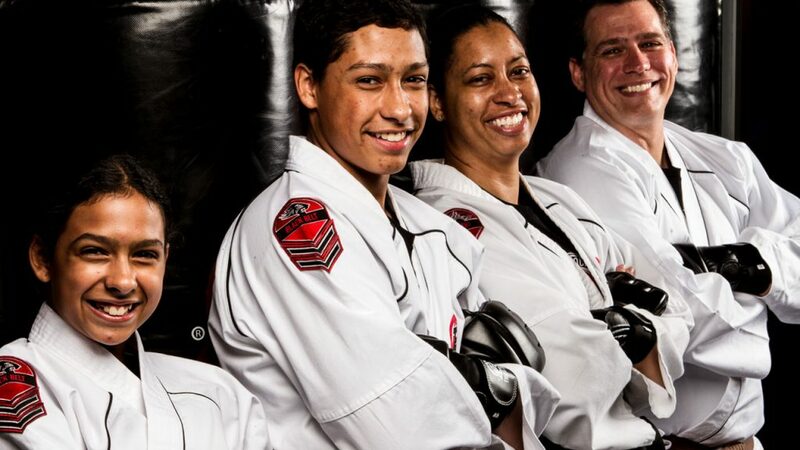 You can trust our brand to provide you and your family with the best martial arts training in Texas. TRMA has been around since the early 1980s, and we’ve become the biggest martial arts franchise in America. With over a hundred locations around the nation, you’ll always be able to expect high quality classes and training from our team. Our certified instructors will help you every step of the way towards your transformation. Join our dojo and watch yourself thrive in our friendly, welcoming, challenging, yet rewarding atmosphere. Our Keller TX Kids Karate Near Me classes are perfect for people just like you. You’re probably trying to make sure you have the right resources and tools to get better on a regular basis. If you want to acquire these and then allow your children to us them, too, join Tiger-Rock Martial Arts of Keller. Our staff and trainers are standing by the phones, ready to answer your questions or concerns. Call us today for more info on the classes and programs we offer. Based in Tarrant County, Keller is a city in Texas. Are you trying to find the perfect city for you? If you’re ready to begin living in a better way, join the 40,000+ people who call Keller home. Keller is a great place to be if you’re interested in high quality living. Check out our city if you want to live in the Lone Star State in the absolute best way possible. Interested in learning more Keller TX Kids Karate Near Me? Ready to begin your transformation? Choose from one of our 20 locations across Texas to Get Started today.